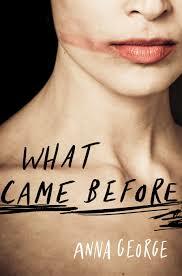 MY NEXT AUS WOMEN WRITERS challenge read this year is Anna George’s contemporary fiction/psychological drama, What Came Before. It’s her first book, arriving on the scene in June this year (2014) and it’s a punchy page turner. Ms George has a delightful way with words and dispatches the story with style and class. I’ve underlined quite a few one liners in the book that lift the text and make it sing. The sky was turning petrol blue and the air held notes of spring. Petrol blue? How good is that? The story revolves around David Forrester and Elle Nolan. When Dave and Elle meet, an instant and dynamic romance begins. They both revel in what Elle describes as the psychological term, Limerence- the euphoria of romantic attraction – and dream of long term plans. But Elle is a romantic comedy script writer, and she can’t help but dissect their new found love like it’s a chess game. She questions her every feeling and action, mocking herself, to the detriment of their relationship. Dave, haunted by unhealthy baggage, struggles with the normal mechanisms of human interaction resulting in uncomfortable and unhappy exchanges. As their tumultuous affair unfolds their desire to be in a relationship that heralds an opportunity for them both to become parents has them naively explain away Dave’s increasingly unpredictable and violent behaviour. I don’t think it gives too much of the story away to say Ms George draws the reader in from the get go with Dave’s surprising confession of Elle’s murder. As the title suggests, we are taken on the ride of what came before the murder with an in-depth and sensitive probing of the emotional side of Dave and Elle’s road to disaster. We spend time understanding the slightly delusional Dave as he unfolds his version of the story and we hover delicately in the mind of the murdered Elle who watches over her own murder scene in lovely dream like sequences. Elle hovers forlornly above her wall-hung dryer. Outside, the night is cooler and deserted. Nothing is moving, not even a possum. Despite the dozen small houses nudging against hers, no one besides Mira and Doris knows her intimate routine. No one else knows to rap and shout. No one else will be looking. But perhaps that’s not so bad. She’s not ready, she realises, to be found — to be publicly dead. Ms George has worked in the legal profession, the film industry, and is a reviewer for The Age Newspaper. Her knowledge of what makes a good story comes together to kick this book into a superbly delivered page turner. Readers will feel they are in good hands. Don’t get between Nicole Hayes and her Freddo Frogs!